Rigid structure and natural essence delivers a warm sensation through its natural wood tones. Present sincerity by making a unique natural gem for yourself or your loved ones. 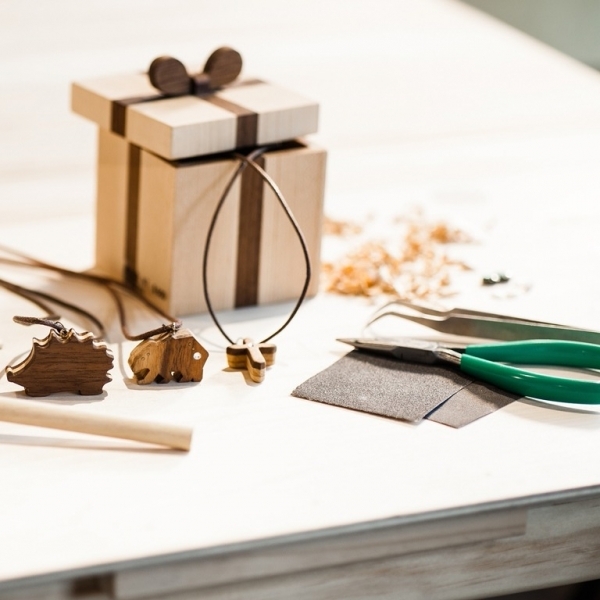 Combining different colored wood with different consistency and patterns, match your favorite colors together and start sketching how you want your necklace to turn out.From nothing, slowly becoming something, holding massive sincerity and hard work.Comes out from your drawings into a complete necklace. Add some metal finishing to make your necklace that much more special.